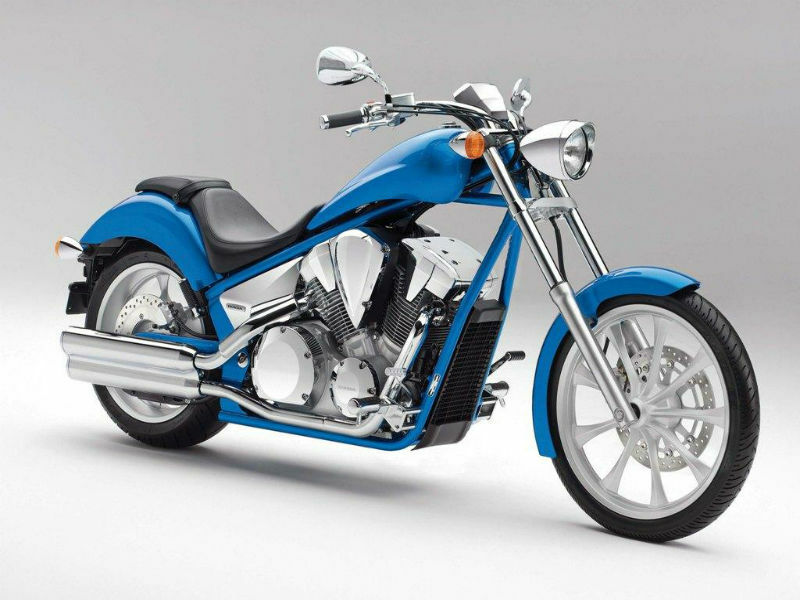 Honda Fury VT1300CX is a lean, stretched and attractive motorcycle which promises better performance and great handling. Read the review to explore the features, technical specifications & price. The new Honda Fury VT1300CX is known for its gorgeous chopper looks which has the power to make every rider look like a real hero. The classic styling of the bike includes the trendy nine spoke wheel, chrome finishing headlamp, long handlebars, low seat and quality structure which adds more and more value to it. Along with the looks, Fury is packed with efficient motor which promises better performance. 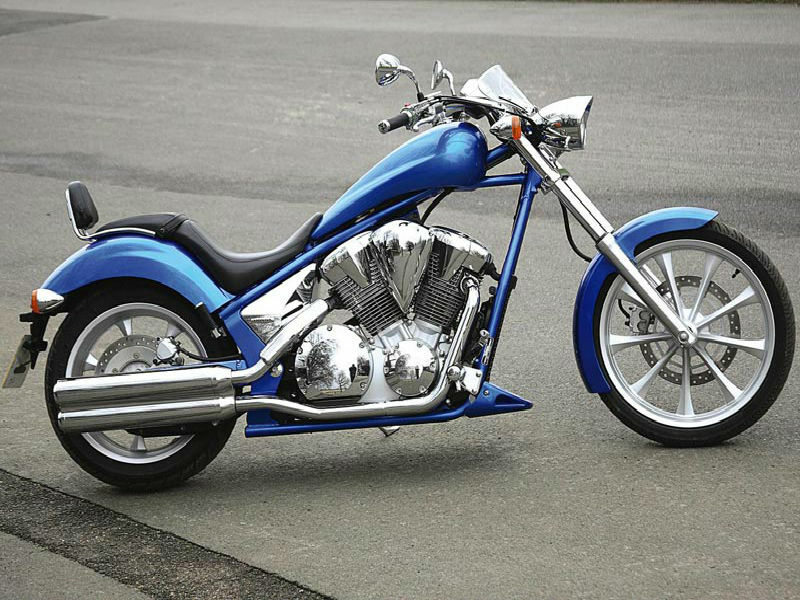 The motorbike is packed with powerful, 1312 cc, SOHC 52° V-twin engine with single pin crankshaft and dual balances which assist in better performance. The maximum power generated from this engine is about 41.6 kW at 4250 rpm and the highest torque achieved is 107 Nm at 2250 rpm. This power delivered by the engine reaches the wheels of the vehicle through 5 speed transmission. 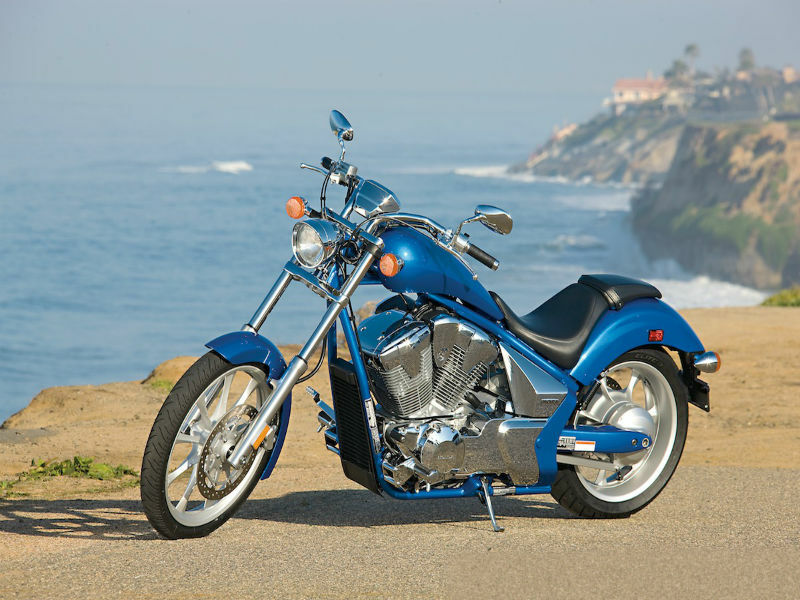 The long, lean and attractive chopper style body of Fury has the power to stun every passerby. The simple and neatly structured body works of the vehicle adds an all new look which is highly appreciable. The quality frame including the chrome finishing, larger wheels, low laying seat and rightly placed handle bars promises the comfortable drive which is expected in every vehicle. Thus with its gorgeous appearance, the motorbike is all ready to add a new charm to rider. Ride quality of Honda Fury VT1300CX assures smooth drive and this is made possible by its efficient chassis. The suspension of the vehicle including the front 45mm telescopic fork and rear Monoshock with adjustable rebound damping makes every rider feel happy about the drive. Further the braking system of the bike namely the 336mm single disc at the front wheel and 296mm disc at rear assure quick and sudden halt of the vehicle. The exact mileage offered by the motorbike is not known. The trendy bike costs close to Rs. 13,00,000 and the colors available with this are blue and black.